The population of Kagoshima City is about 600,000. 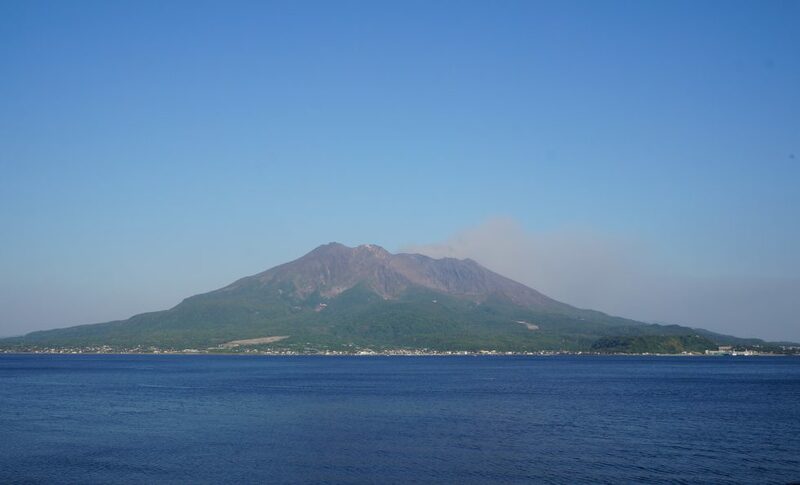 Kagoshima port is close to the center of Kagoshima City, and Sakurajima Volcano is accessible by ferry from kagoshima port. It takes about fifteen minutes by ferry. We were able to see volcanic smoke from the crater of Sakurajima on this day too! Volcanic ash fall on Kagoshima City from spring to autumn.